Even though we have technologies such as PDF’s, e-mail, and SharePoint sites that make it possible to achieve a paperless office, it seems like there is a never ending stream of printing going on, especially in the office environment. Today we’ll introduce you to GreenPrint, an easy and free way to be more eco-friendly and save costs at the same time. GreenPrint is designed to save printer ink, reduce unwanted pages, help reduce environmental damage, and save you money by catching pages before they go to the printer and optimize them to reduce waste. Before installing you will need .Net Framework installed on your PC for GreenPrint to work. If you don’t it will download and install it for you. Most people should already have this installed, but it’s good to know that it’s a requirement. 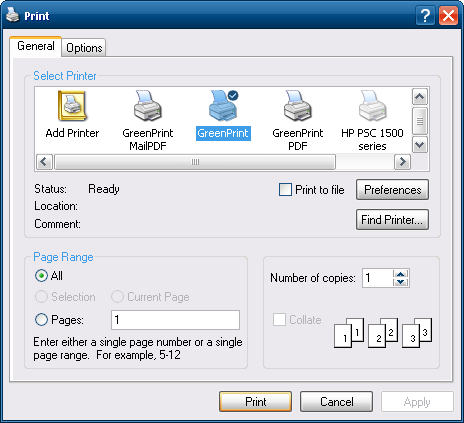 You will be prompted to choose the default printer to use with GreenPrint during installation. Your default printer will be change to GreenPrint, which will then use the printer you choose on this step as the default physical printer to pass through. After everything is set up, GreenPrint runs quietly in the taskbar until ready to print. As a test I went to print out a webpage… note that GreenPrint is the default printer where all documents should be printed to. 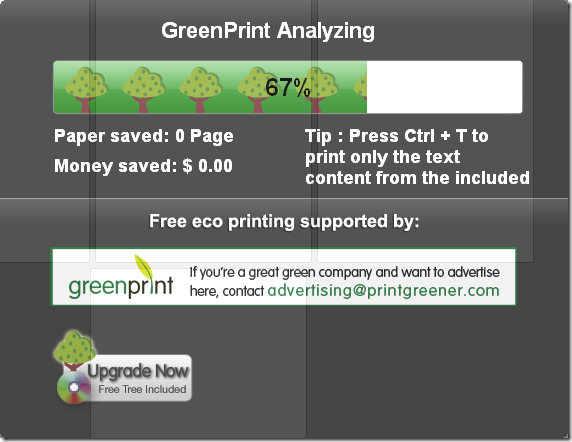 GreenPrint will launch and analyze the page or pages you are printing out. In the main user interface is where we can remove unnecessary images or text. Since this would print on 4 pages total you can choose to view all 4 or view them one at once or different combinations. The other feature is to print a document to PDF format which in itself saves a ton of paper and ink as some of the more technically inclined co-workers prefer a digital copy versus printing out 10 copies for every meeting. With this option you can also leave in the extra pictures and / or text in if you want. 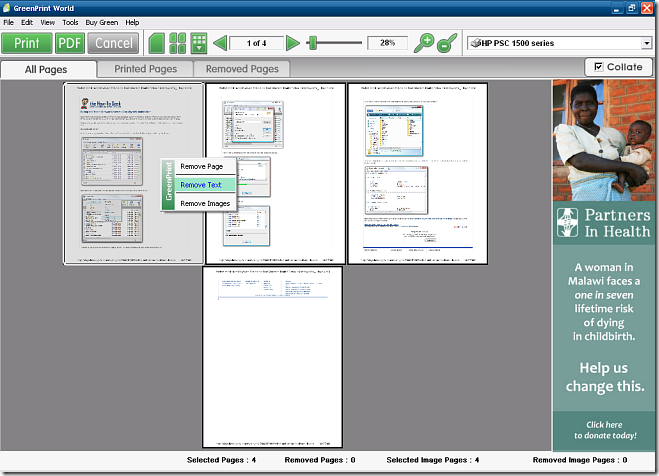 Just click on the PDF button next to the Print button at the top. Then just browse to the location to store it. 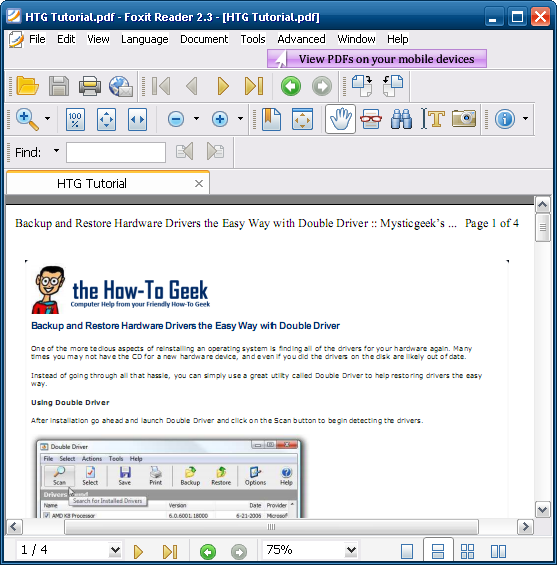 The results are just as good as using other utilities like PDF Creator or the Microsoft Office 2007 PDF Add-in. There is a very cool reporting feature that tells you how much money was saved and the positive environmental affects. 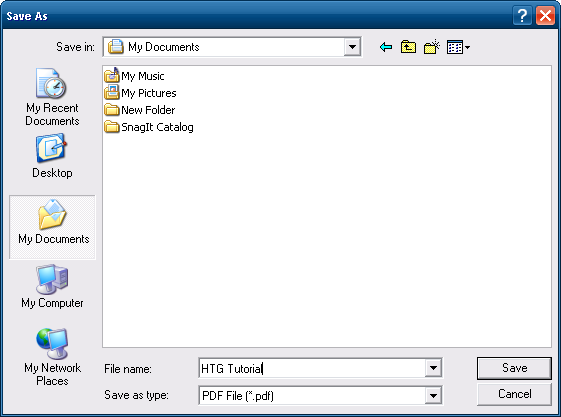 GreenPrint is a very cool utility which offers several options for eliminating needless images and text from documents. It is designed to help save paper, ink, and energy which is great for the environment. If that is not enough incentive to use it, then just consider the fact it will save you money as well. 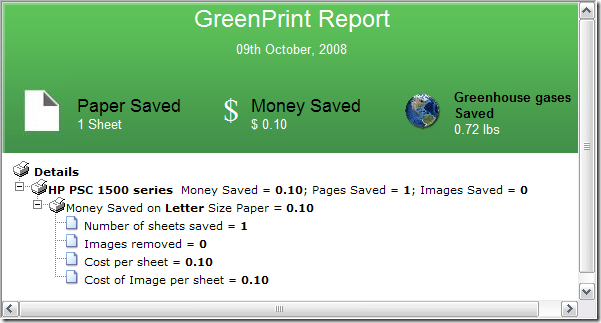 GreenPrint works on XP and Vista (32bit only) and there is also a beta version for Mac OSX. GreenPrint World Edition is free and ad supported, the ads have humanitarian and environmental focus which is pretty cool versus random advertisements. To get ad free you will need to purchase the Home Premium or Enterprise version. The license also allows free email tech support, frequent version updates, and allows commercial use for your business.